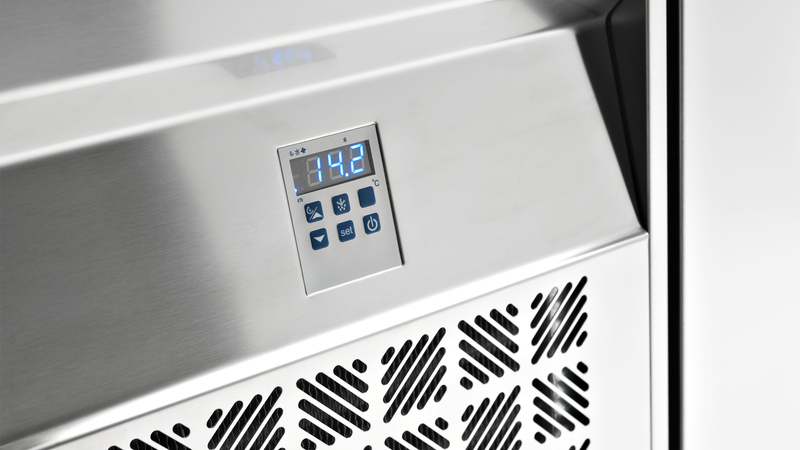 Our production philosofy, already known to you, is based on a perfect integration of neutral, cooking and refrigeration functions. 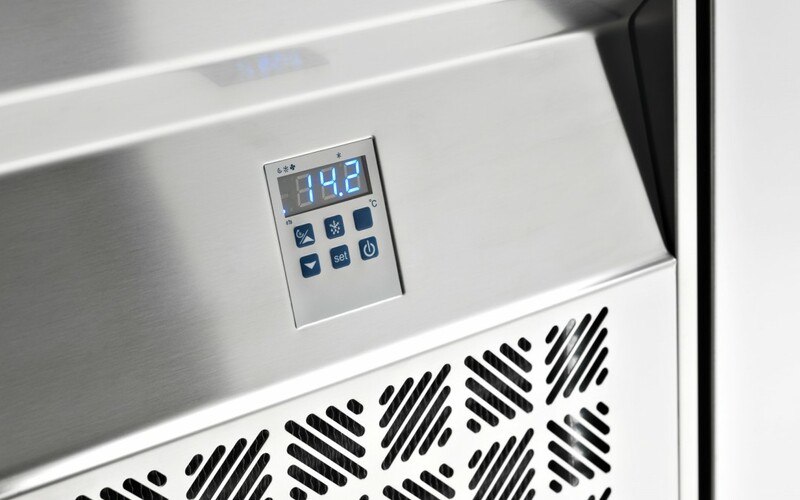 The aesthetic and dimensional homogeneity of our refrigeration products with the rest of our range allows us to propose a fully integrated solution in the preparation area. 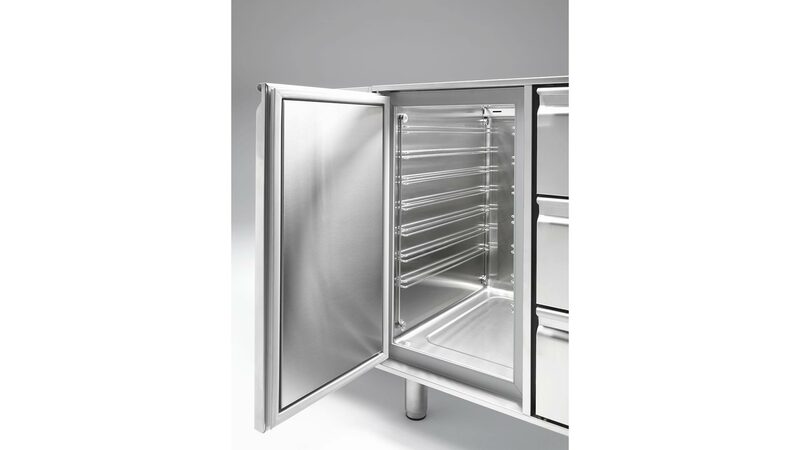 There is a growing demand for refrigeration products that not only comply with hygiene norms regarding food storage but that are integrated with the other kitchen areas to guarantee an efficient operational solution for the user. 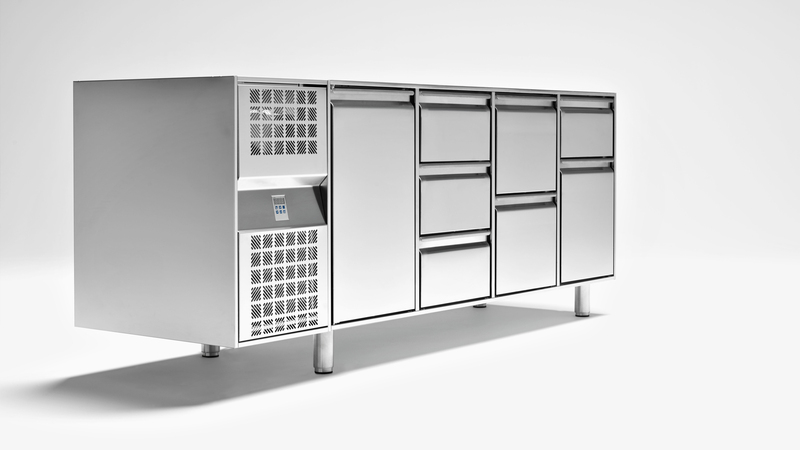 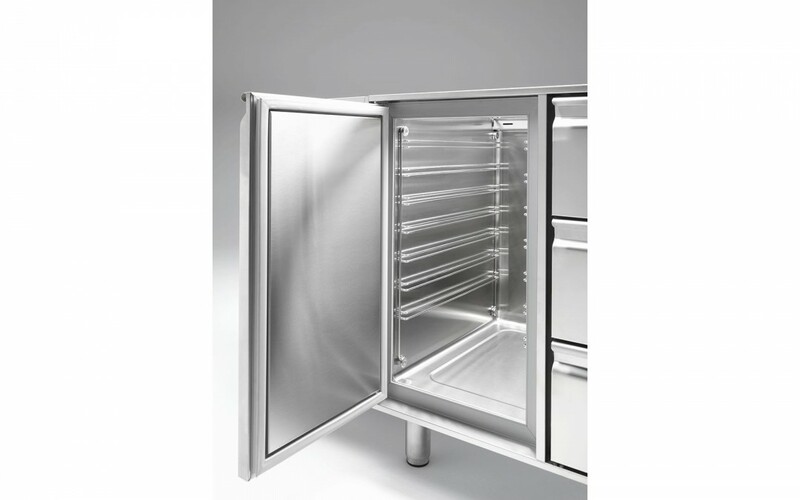 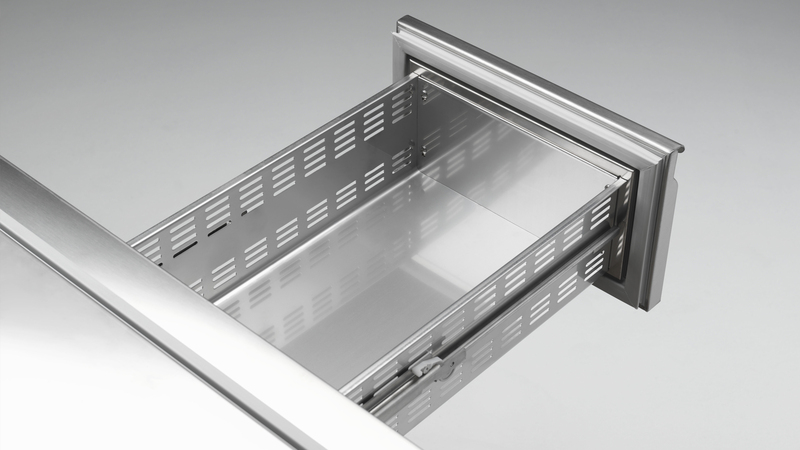 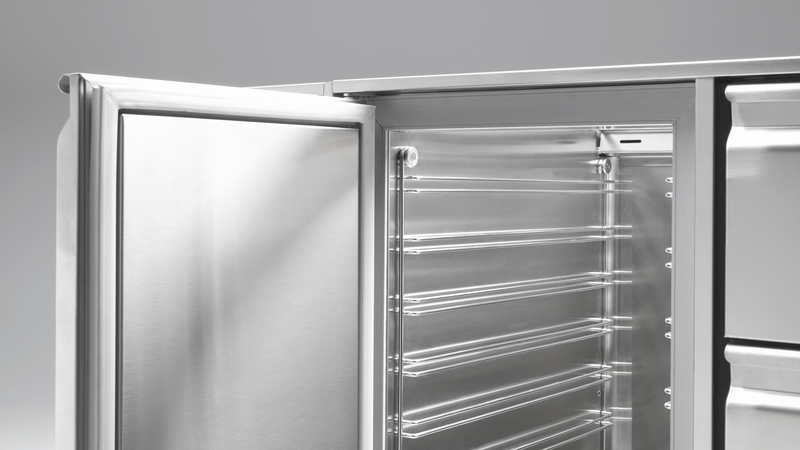 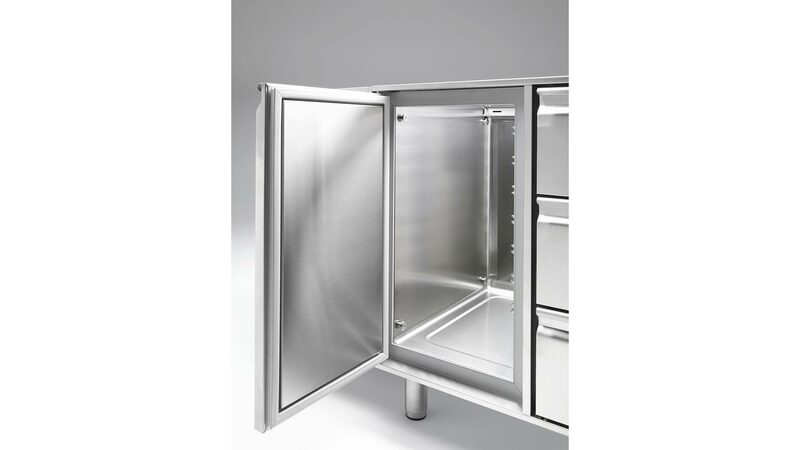 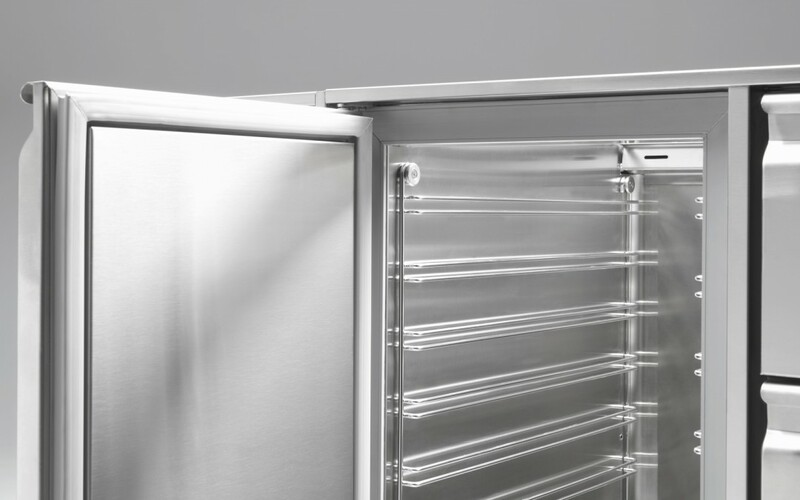 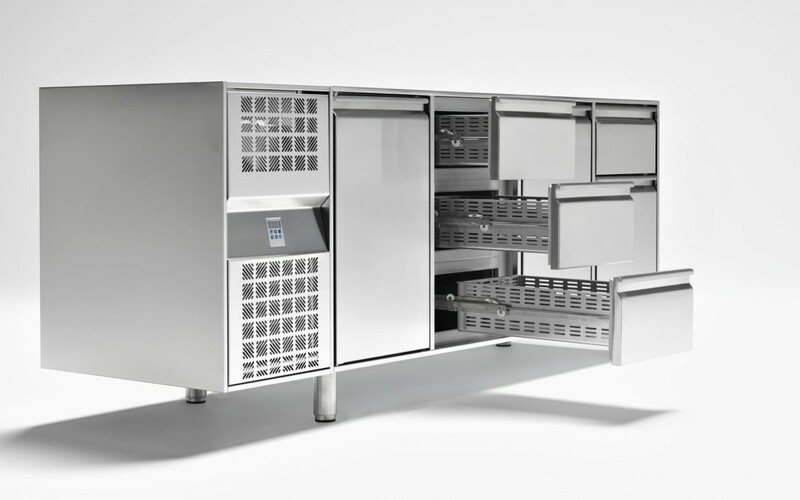 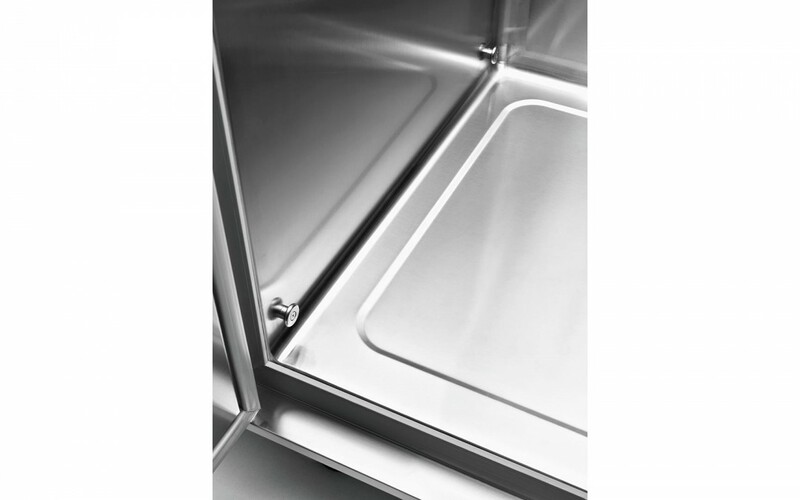 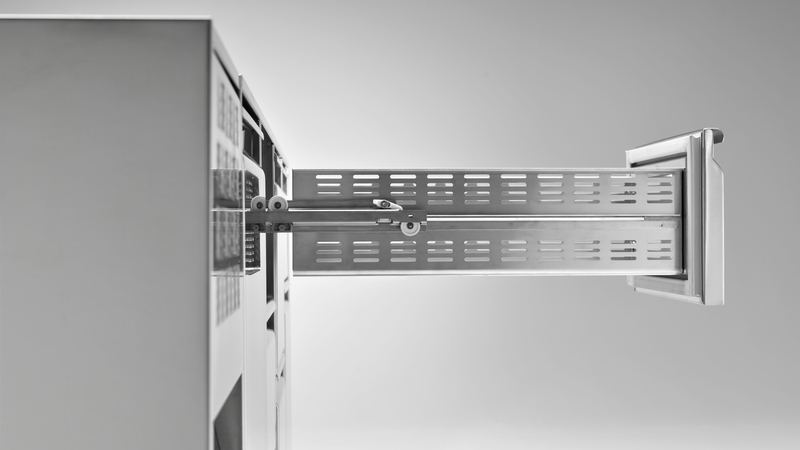 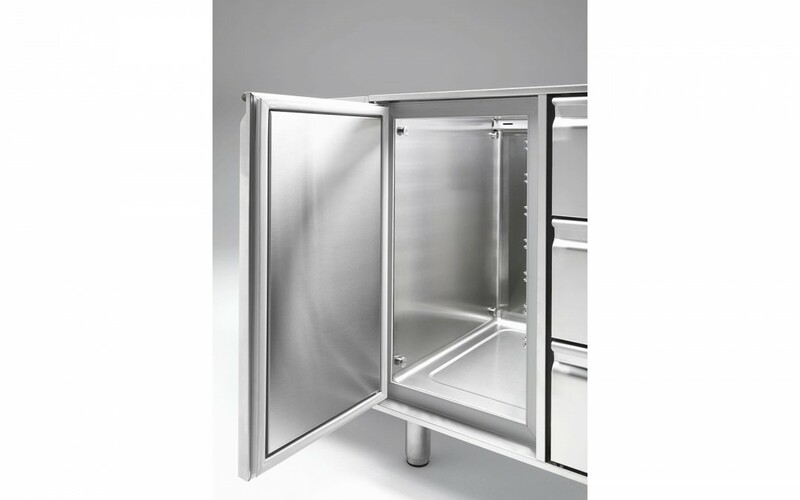 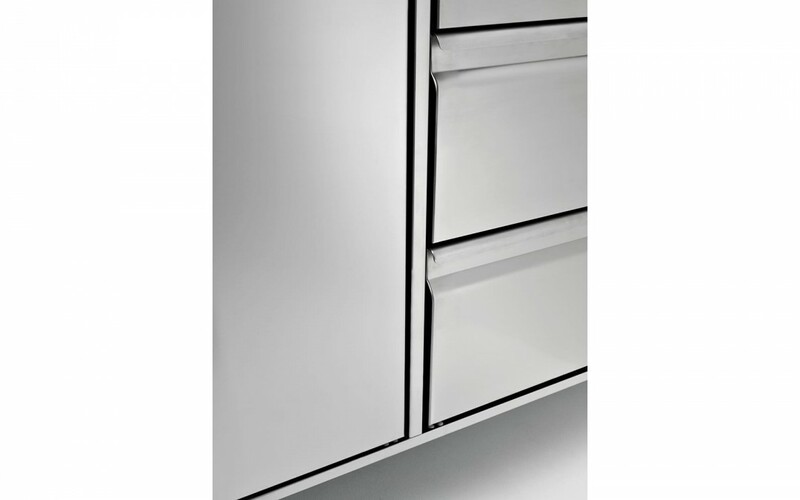 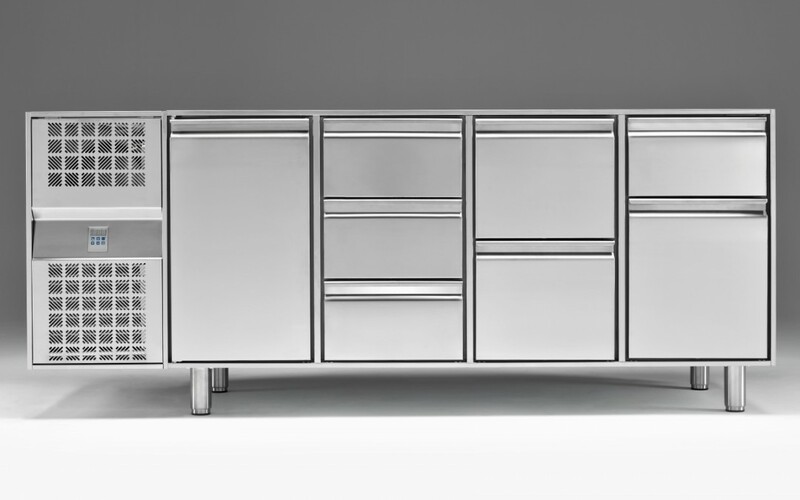 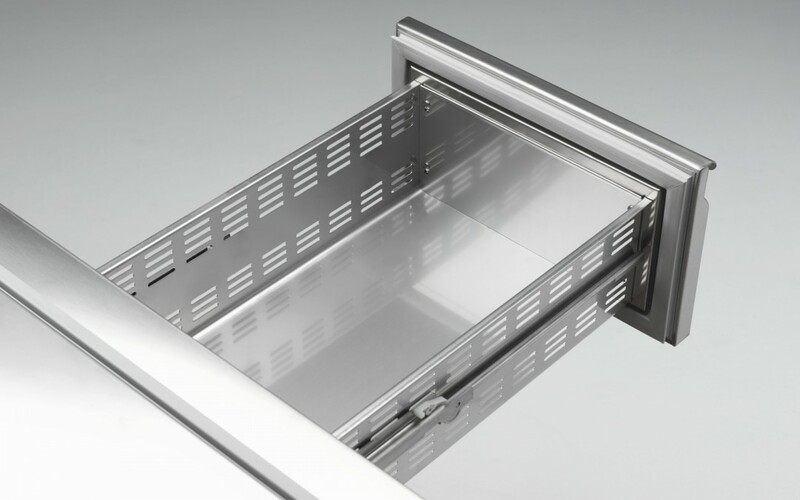 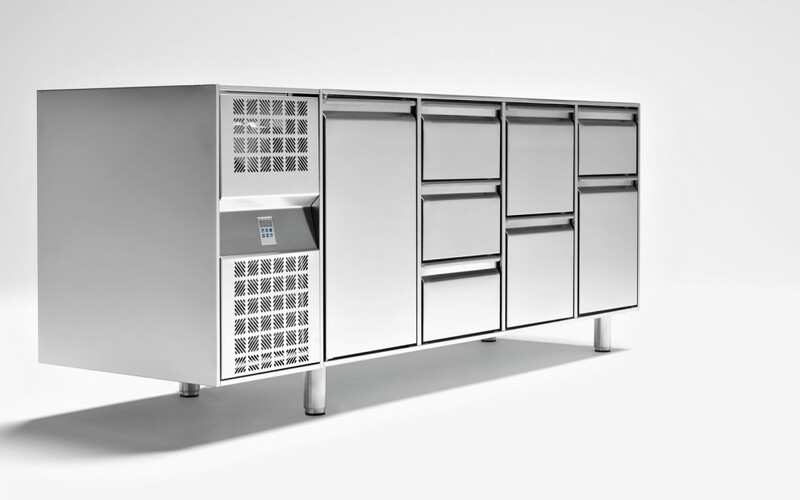 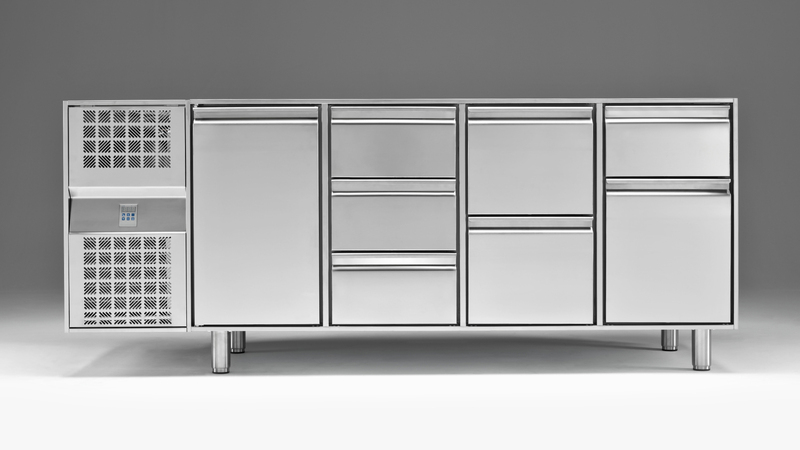 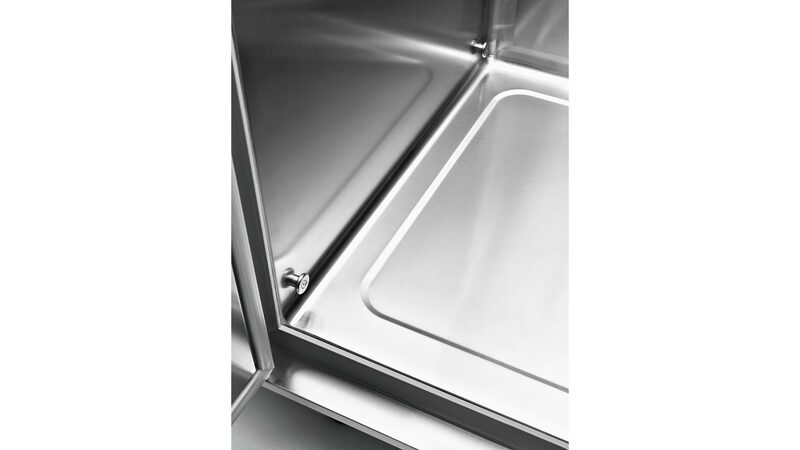 Internal cell separation (odour contamination), a flexible choice between static or ventilated functions, the easy removal of all internal parts (runners, racks, condense bowl, etc …), the absolute flexibility in the positioning of the three types of drawer kits, “tropicalized” refrigeration units (+43°C), three temperature range (-2° to +10°C, –10°C to –20°C and 0° to +10°C for confectionery purposes), easy access to the whole refrigeration unit (for swift servicing) … represent the main technical characteristics of this wide range. 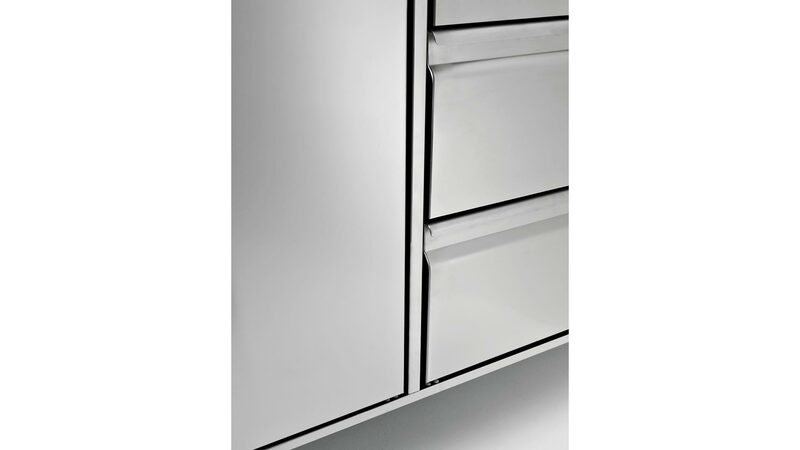 The wide range of choice is the main characteristic of this section. 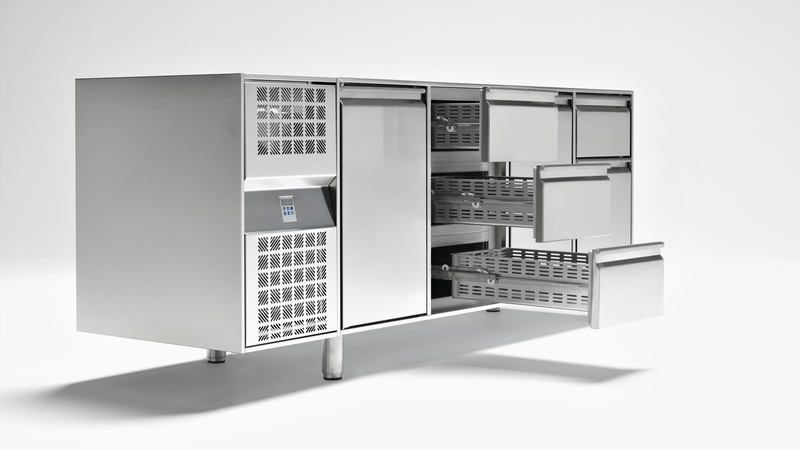 Refrigerated bakery counters with 2 drawers solution.